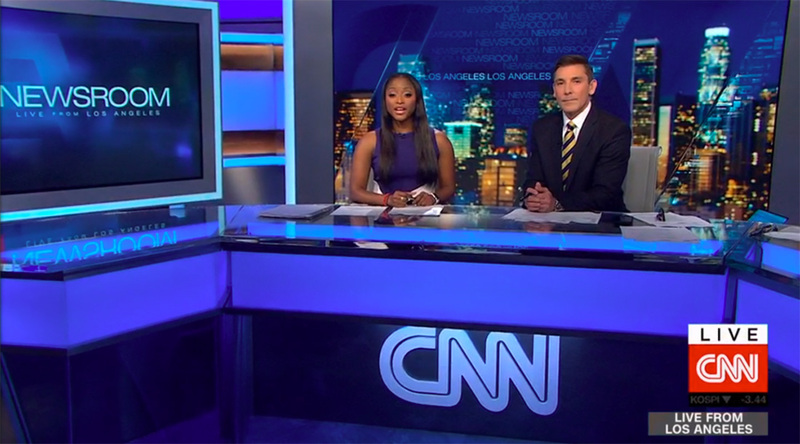 CNN Newsroom Live from Los Angeles has been canceled, I have been told — and anchor John Vause is returning to CNN Center in Atlanta. Earlier this week, CNN International unveiled a new programming lineup, and it appears this is yet another change to the scheduling. Vause’s co-anchor, Isha Sesay, announced her departure earlier this month, citing the “Trump-focused” news coverage. The Los Angeles-based Newsroom program, which often aired on CNN/USA in addition to CNN International, often focused on U.S.-related issues, particularly President Trump. One of the unique things about the show was that it featured West Coast-based pundits live in studio instead of via remote. There’s no point in anchoring a show from California if all you are going to talk about it Trump, Trump and more Trump might as well just do it from Atlanta. When the show moved to Los Angeles CNN actually did news now its just does Trump all day. ??? Does CNN Atlanta want Vause back … that’s the real question? Maybe Isha Sesay saw the end was nigh? Is this farewell for John Vause too? Maybe he is too expensive for CNN could be back to Australia for him????? John Vause is on the air and now doing a monthly commute from LA to Atlanta.